First Communion is considered to be an important tradition for Catholic families and individuals. The kids ageing between seven to thirteen years are received eucharist. Little girls & boys wear the white beautiful dresses during their communion ceremony. It’s a ritual followed by many catholic communities worldwide. 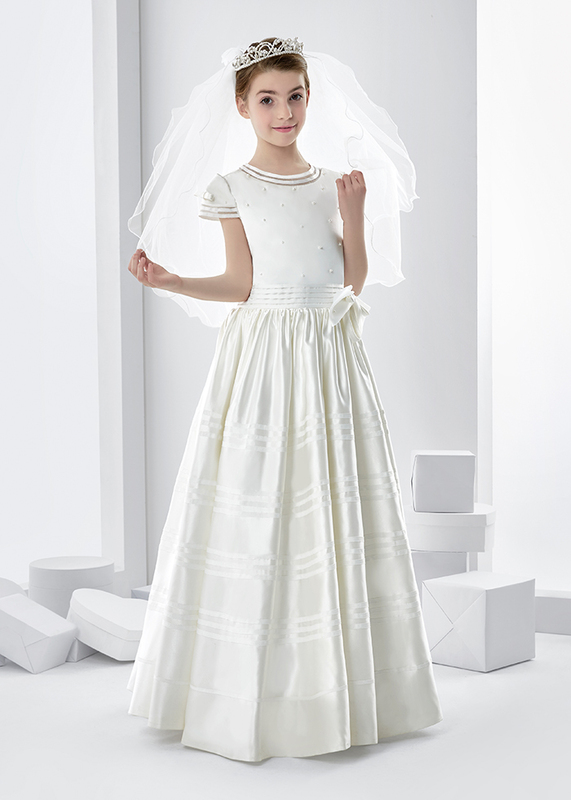 Finding the right first communion dresses are one of the most exciting act of the whole process. I have been following this celebration since a few days now. White communion dresses are available in online stores worldwide. Communion ceremony is held in the church, hence most of the people in presence follow the tradition wearing the white communion dresses. Thre most important rules to follow while chosing the right first communion dresses are the Fit, the colour & the quality. Always chose the right dress with right fit giving a try to the person who is going to wear it in the ceremony. Or, go for the reputed designer brands whose fits are comparatively better than others. While chosing the right color of communion dress, make sure the colour is not extreme. Either make it white or dusty white. It should be soothing at the event. Quality is the most important note to be looked for. A good quality fabric will give a right fit in right color. Chose the quality wisely. You may opt for the quality of the dress according to your comfort.